Jenn and I met through the wonderful world of Facebook, we live in the same community and she had seen me in different groups. When we first met Jenn was quick and to the point, she knew exactly what she wanted and was determined to find it - and fast. I knew the exact layout, I had seen the house many times in the area so I knew that it was absolutely possible to get it. What surprised me was how long it actually took. I posted videos on facebook asking for people with this layout to reach out to me, and talked to other Realtors who worked in the neighbourhood, but the right one just wasn't there. 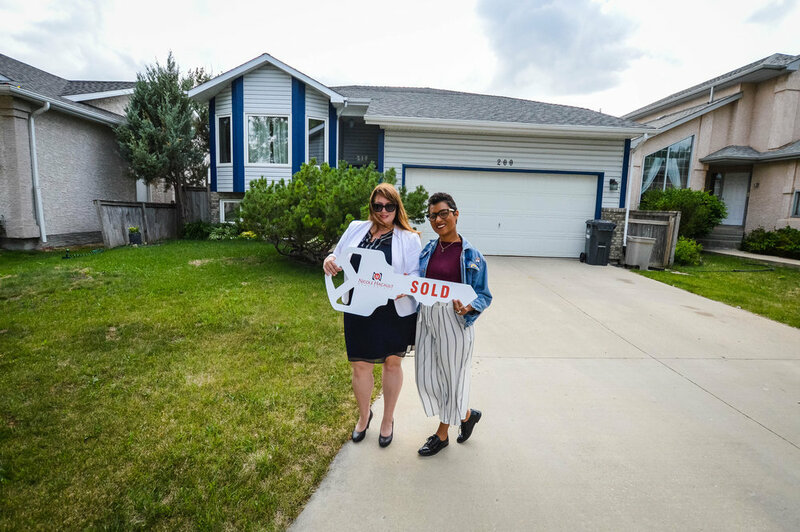 We ended up offering on one out of her desired neighbourhood, and didn't get it when someone way overpaid for the house. It was one of those situations where you couldn't even be mad that you lost because they paid so much more than we were willing to offer. I am super happy for you and your family! I can't wait to visit you once your additions have been made to the backyard (where is a winky emoticon when you need it). You are going to enjoy many years in this fabulous home!